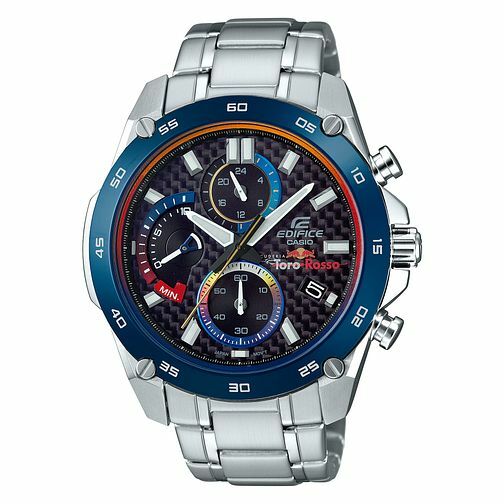 Inspired by the bold colours of sporting events, this limited edition watch features bold tones of blue, red and orange that are taken from the Torro Rosso team colours. The bezel includes five second increments with a feature-rich dial that includes large luminescent indices, and three separate subdials that track the time for those with a more fast-paced lifestyle. The Casio Edifice series are defined by their precise timekeeping and wide array of functionality.